Have you ever played a dual audio movie? If yes, then you know it is the best option rather than buying or downloading the same movie in different languages. 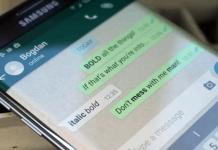 Nowadays, the Android smartphones are very powerful like a computer. You don’t need to buy a computer for watching a full HD movie. You just have to download a video player on Google play store and you can watch any movie on it. Among the video players available for Android, MX Player is very popular. So, in this tutorial, you’ll learn how to set default audio track in MX Player on Android. Dual audio or Triple audio movies are encoded with multiple audio tracks which allow the users to easily switch from one track to another. 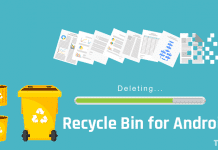 You can enjoy the different language versions in one file, which not only saves your money but also saves your memory. MX Player is one of the best video player available for Android smartphones. It is able to play almost all media formats, besides AC3, DTS, and Dolby digital codec because of the licensing issues. But, don’t worry! Follow this tutorial to download MX Player Custom Codec with DTS and AC3 Support to play DTS, DTSHD, AC3, EAC3, MLP audio tracks. Except this, it can also stream online videos like YouTube or any other streaming sites. How to Change Audio Track in MX Player? This is not a trick to change audio track in MX Player. 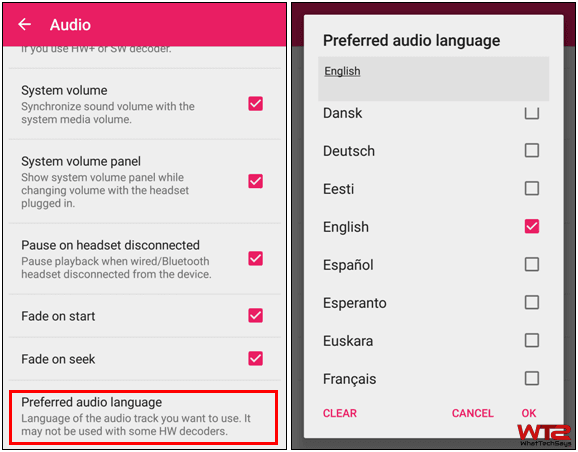 There is a default option to change audio language in MX Player on Android. Keep in mind that, it only works with the video files encoded in dual or triple audios. If a file has single track, then it can’t change the audio language. Download and install MX Player from Google play store. It’ll show all video files available on your device. Open a video file, which has a dual audio track. 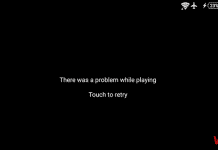 While playing the movie, tap on the screen to view the available options. Tap on the “Sound” icon from the top of the screen. It’ll show you the available audio tracks of that video. Choose your preferred language from the list. Now you are done! In this way, you can easily change audio language in MX Player. How to Set Default Audio Track in MX Player? If you are playing a sequence of dual audio videos or if you play another video, then you have to change the audio language once again. To get rid of this problem, you can set default audio track in MX Player which would help you to play your preferred audio language every time. 1) Open the MX Player and go to Settings >> Audio. 2) Scroll down and tap on “Preferred audio language” option. 3) From here, choose one language which you want to make the default audio track on MX Player. 4) Tap the OK button to finish the process. 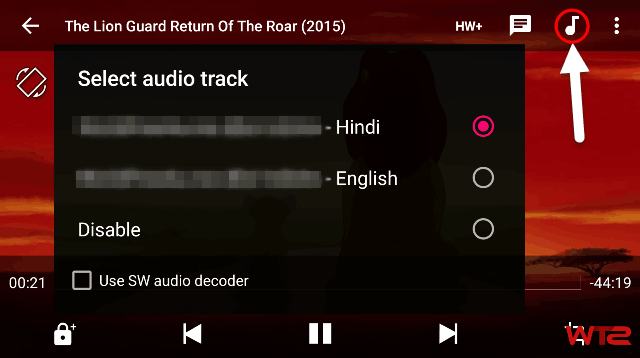 In this way, you can easily set default audio track in MX Player on Android devices. If you have any question regarding this, then feel free to comment below. Please describe your problem in details.